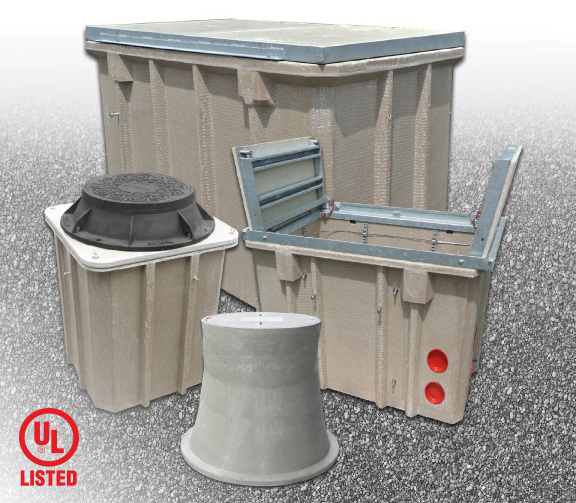 The Armorcast Products Company line of Polymer Concrete Vaults and Manholes are designed to provide maximum strength and durability. Lighter weight than traditional concrete, they are easily installed with a backhoe. Superior strength and longevity. Meets all WUC and SCTE / ANSI 77 specifications. Vaults are available with stationary covers, or Torsion Frame / Cover for ease of opening. Cast Iron Ring and Cover options allow for full H-20 street use.